Great-great grandfather of Mary Kay Simon Gleisner, the submitter. Notes: Peter and Mary Grady and most of their children lived in Fairview township, Allamakee Co. Monona would have been the nearest Catholic Church. They were the grandparents of Mary Moran Simon, my paternal grandmother who lived in Waukon. 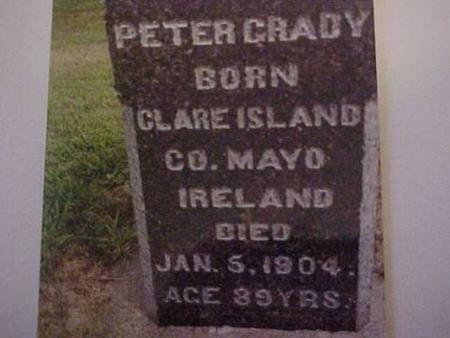 Searching for PETER GRADY in Clayton County Iowa?